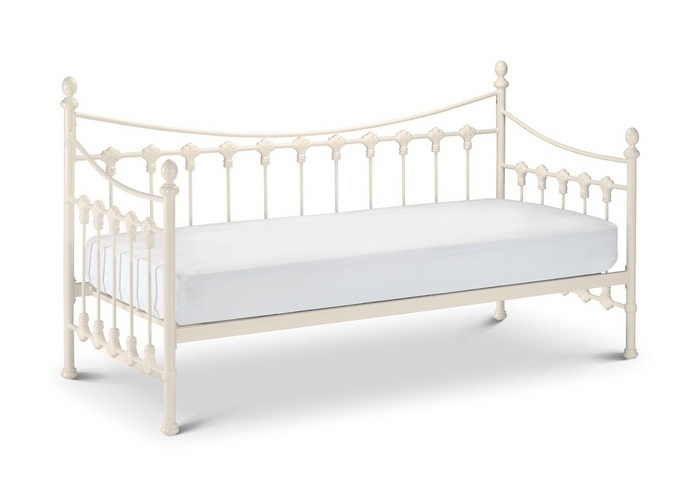 Romantic stone white metal daybed works with modern and traditional interiors. The Versailles daybed is equally at home in the bedroom, living room or playroom. 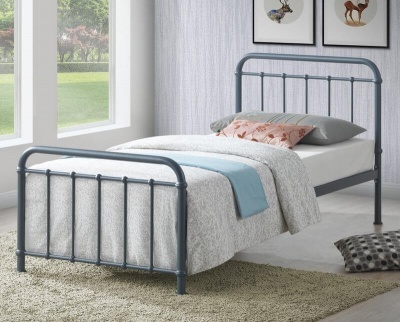 Sprung slatted base for added comfort and mattress life. Choose either the Premier or Elite pocket 1000 mattress to go with the Versailles daybed. 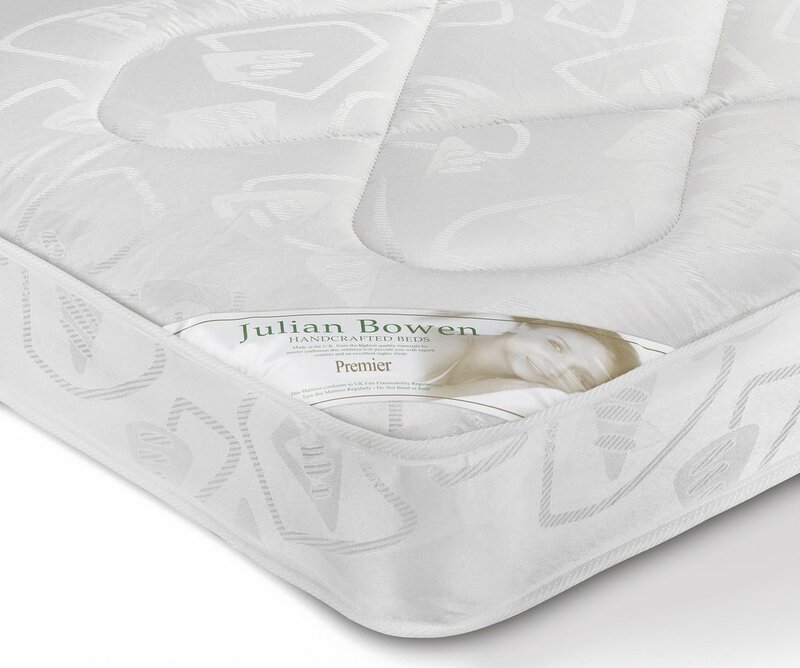 Premier mattress: 18cm deep coil sprung mattress with medium firmness. The cover is made from damask material. 13.5 Gauge Bonnell spring unit, plastic edge side supports, 900 gsm spring insulator and 270 gsm polyester filing. 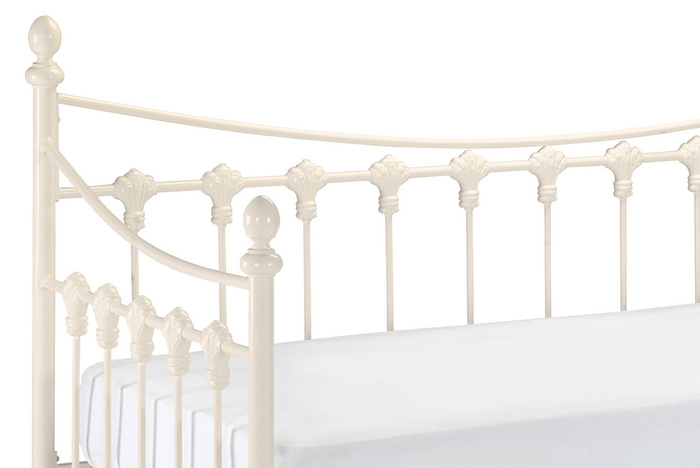 Ideal choice for guest bedrooms and children's beds. Elite pocket 1000 mattress: 25 cm deep 1000 pocket spring mattress. Hand tufted. 1000 gsm spring insulator pad, 800 gsm polyester filing. Luxury damak quilted cover. Quilted border with air vents. Care instructions: Turn mattresses regularly - do not bend or fold. These mattresses conform to UK fire flammability regulations. Stone white textured eggshell coated finish which is an off white colour. Similar to magnolia paint. No need to struggle, the Versailles daybed and mattress are delivered by a two man team to a room of your choice. Delivered in two boxes plus plastic wrapped mattress.